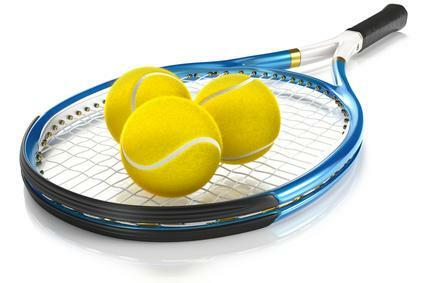 Tennis Betting Guide - An Intro To Gambling On Tennis, With An Edge! Ultimate Tennis Betting Guide - Bet On Tennis, And Win! In this article I will explain all of the differing bets you can place at any tennis tournament, information you should use to help make your betting decisions and some bankroll management strategy. There are differing levels of importance in tennis tournaments and you need to bear this in mind when placing a bet on the outright tournament. In a Grand Slam event, every player will be trying one hundred percent to win, so you can back a player safe in the knowledge that they will be giving it their all, and in premier or Masters events, you can assume the same thing, with the ranking points on offer being substantial. However, in some of the lesser events on the tour you may have to tread a bit more carefully. Say, for example, a top five player enters a tournament two weeks before the French Open, is the heavy favorite for the tournament, but in the second round suffers a slight twinge in his/her back. Is that player going to be go all out for victory, or will they even continue playing, with the French Open looming large? Just before the start of any tournament (normally the weekend before, a little earlier for the Grand Slams) the draw is made, and this is of massive importance when placing a tournament bet. All the tournament s are bracketed, so you can easily plot a players route to the final – is one quarter of the draw a potential minefield, or is the bottom half particularly weak? Use all of these facts to your advantage. Maybe in a lesser tournament backing a player who you feel will go deep but has a big name looming (in the semi- final maybe) might be a decent strategy, as going back to the earlier point, will the big name still be in the tournament at this point? A more advanced way of looking at tournaments is to plot the route mathematically (this applies to all bracketed events in any sports). Look at a certain player, and rate his chances at each stage. For example, you take a look at Rafael Nadal at the French Open.For each successive round, you think he has a 99%, 99%, 96%, 92%, 85% (quarter- final), 80% (semi-final)and 75% (final) chance of winning. If you then multiply 0.99x0.99x0.96x0.92x0.85x0.8x0.75 you’ll get 0.44, or a 44% chance of winning the event – which equates to odds of 2.26 (the fractional equivalent is 5/4). If you then see the bookie is offering higher than you think, back it! The final point I will make on outright tournament betting is to make sure you get value. Shop around, make sure you get the best odds, and never back a player just because you think they will win, back them if you think they can win and you are getting good odds about it. There are many ways to bet on individual matches, including the obvious who will win, but you can bet on individual game betting, set betting, set betting correct score, number of games in the match, or even betting on who will win certain points – and obviously the shorter the format, the more random it can become – for example betting on an individual point or game is not going to be as easy to predict or read, than for a whole match. So in this section I will focus on match betting and what to use to make your decision, and feel free to use that same information for different types of bets on the match in question if you so choose. The first, most striking piece of information you should use is the player’s world ranking. This is obviously a very useful piece of information, but it should be used strictly as a guide. The world ranking is based on tournament points over the previous twelve months, but a player’s ranking can be false due to a prolonged injury. The second piece of information you should use is how good a player is on a particular surface. This is vitally important, and on surfaces such as clay or grass where you would consider some players specialists, this is probably the MOST vital piece of information you need. The third vital ingredient in the mix is current form. How well has that player done in recent weeks, how well did the player do in their match yesterday (was it a struggle, or did they breeze through, did they have the trainer on, did they serve twelve double faults?). If a player hasn’t played for a month, then it is difficult to quantify form, but if they played last week or the week before, you can use it in your calculations, and during tournaments it is a vital factor, especially in a grand slam, where you may have many matches to use to help your judgment. Other factors you should include in your judgment are player head to heads. You might think one player should beat another, but in the past they have played seven times, and the other player has won six – maybe his style just doesn’t suit against this player? If you mix all of the above information together, then you should have a feel for a match, and should be able to have an idea of how the game should be priced up. 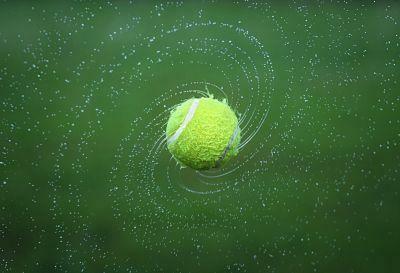 Bob Smith is playing against Steve Jones on grass in the semi-final of Wimbledon. Smith is ranked number nine in the world, Jones number four. Straight away I’d give an edge to Jones here. However, Smith has a better record on grass (won at Queens, and semi- finalist here last year), Jones classing clay as his favorite surface (runner up in the French Open, lost in second round last year at Wimbledon). Immediately, the surface advantage probably makes me now favor Smith. However, Smith has spent 21 hours on court in his run to the semi- final, and is coming off an epic quarter final, winning 13-11 in the fifth, whilst Jones has only dropped one set so far and has had a bye in the quarter final as his opponent was injured, so he is very fresh still. This may be enough for me to favor Jones again here. Finally I look at the head to head – Smith leads the head to head six-three, with two of Jones wins coming on clay, and Smith winning six-one on harder surfaces – advantage Smith! Looking at all of these factors together, I’d probably have Bob Smith as around a 60-65% favorite. There are many ways of staking in betting, some methods being much more risky than others. A method I would encourage for tennis betting is a points based plan. The more certain you are that your selection is right, the more points you assign to your bet. A maximum bet could be a 5 or 10 point bet – going down to 1 point for bets for less certain selections, with each point maybe being one percent of your bank. If you have a bankroll of £1000, a five point bet worth £50, or a bankroll of £100, a 2 point bet being £2. This should ensure discipline in your betting, and your bankroll can cope with downswings. The article shows factors you should use to influence your betting in outright tournaments, a strategy to use to decide your view of individual matches and finally how to stake your selections. A guide that will ensure thorough use of judgment in your betting and enhance your enjoyment of betting on tennis.